[Y]our suggested remedies are housing subsidies, protections against evictions due to rising rents, and an end to caps on housing construction. In cities like Milwaukee or Kansas City (or St. Louis, Omaha, etc) those don’t match up with any problems in the local housing market. The media’s obsession with gentrification to the exclusion of all other housing issues has a number of consequences, ranging from annoying to pernicious, but one of the worst is a widespread belief that New York, Washington, Chicago, San Francisco, and so on have one set of housing problems, and everybody else has a completely different set. This is not, in fact, the case. In fact, nearly every metropolitan area in the country has these two problems: A) Zoning prohibits new construction in relatively nice neighborhoods, meaning prices are artificially high, which forces people either to live in less-nice neighborhoods with more crime, worse schools, etc., or build new houses on farm/desert land with worse access to the actual city, and B) A big chunk of people can’t actually afford to pay the market price for housing almost anywhere. This leads to problem C), which is economic segregation, which has various disastrous effects on the opportunities people have to lead the kinds of lives they would like to lead. Why are there no apartment buildings in your standard affluent single-family-home neighborhood, common in metro areas from Chicago to Kansas City to New York to Memphis? Not because people don’t want to live in them. Not because you couldn’t make money by building them. They don’t exist because they’re illegal. This is not a secret. In approximately 90 seconds of Googling for news stories about very minor zoning debates in cities I know almost nothing about, I found these two reports about people shooting down proposed apartment complexes in their Kansas City area neighborhoods, plus this homeowners’ association Facebook page, which prominently announces its belief that apartment construction in their area should (continue to) be illegal. Here’s another story from Tampa Bay. Here’s another from south suburban Boston. It’s not a secret, but we don’t talk about it, because instead we think it is more interesting to talk about gentrification, which involves people in the social circles of the people who do most of the writing about things on the Internet. This is not to say that gentrification isn’t a legitimate topic – it is, it’s important, it’s interesting, I’ve obviously written about it a decent amount – but it needs to be put in context. Namely, economic segregation. Namely, the housing policies we’ve adopted nationwide that don’t just condone segregation, but give it the force of law. And they exist in your city whether you live in Park Slope, NY or Overland Park, KS. But I say, why shouldn’t folks who want to live in a nice “affluent single-family-home neighborhood” get to keep it that way? Why should they have to worry about lots of apartments being built and density and transient neighbors? Zoning seems to solve the problem of people selecting the kind of community they want to live in and providing some stability with respect to what they can expect when it comes to their neighborhood property. Sure there will be segregation (both economic and cultural); but why is this so bad? Good question. I’m going to write this up as a separate post. You can see both sides of the gentrification/densification struggle in Portland, OR. where some neighborhoods are exempted from new zoning rules and others aren’t. Portland, of course, wants more density, but the more traditionally upscale neighborhoods do not, and since they have enough political and economic clout, they exempt themselves. 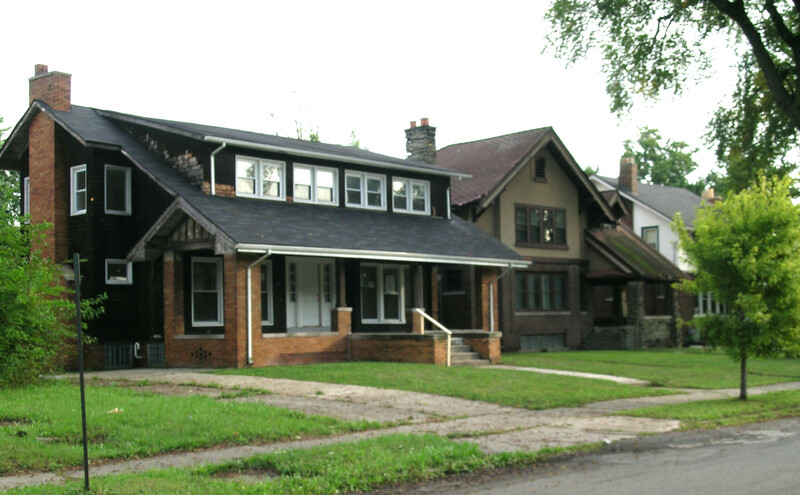 The neighborhoods with less clout get a retrofit that often seems arbitrary if not brutal. For many, it comes down to street parking. For others, it’s a matter of historic preservation. The curious thing is that this very liberal city still reacts in a way that reflexively favors the well-to-do over the working class. I actually wrote a short post about that a while ago! It’s shocking but not shocking. Very few people connect local zoning issues with equity or justice. I would be interested in your take on Milwaukee. 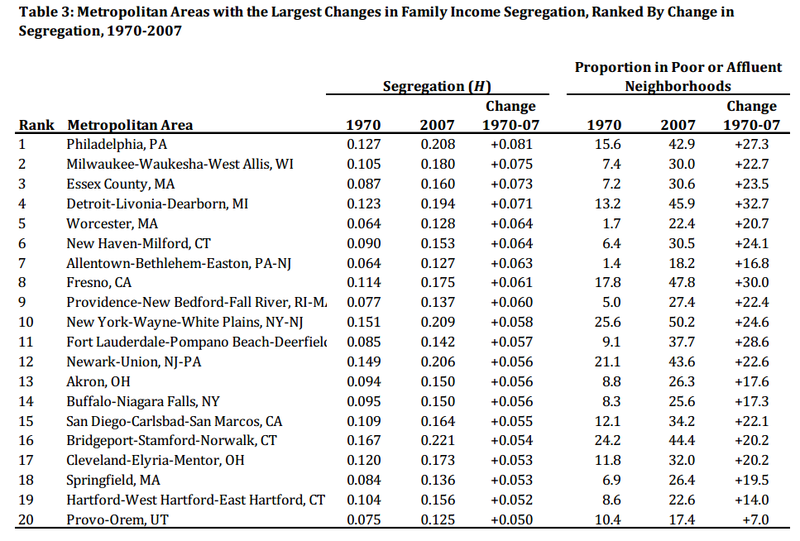 The metro area is routinely ranked among the worst in the U.S. by various segregation measures, But the County is among the most diverse in the US (as well as segregated – though to a lesser degree than the differences between Milwaukee County and the surrounding suburban counties). The City itself is interesting in that in addition to having significant areas of concentrated poverty (in particular African American neighborhoods on the north side), it also contains the most desirable neighborhoods in the metro area (in developments in the downtown, the East Side, and the Third Ward), In terms of restricting supply, I don’t recall having read about any proposed housing developments within City limits having been rejected by the City (although the City may reject funding requests or requests for waivers of zoning requirements). At least half of the new housing in the metro area during the past three years has been developed in the City, and virtually all of this has been multi-family residential developed on former industrial brownfield sites. There are thousands of additional units in development, and my sense is that there are probably 500 acres of vacant land in the core 10 miles of the City in desirable locations that will be developed, and which could probably accomodate 50,000 additional residents. Pricing is high enough to make it economic to profitably develop these brownfield sites. In any event, reading through your post again, I think the key from my standpoint is that the Milwaukee metro area has a problem with exclusionary zoning, but the problem lies in the suburbs – in particular those outside of Milwaukee County.